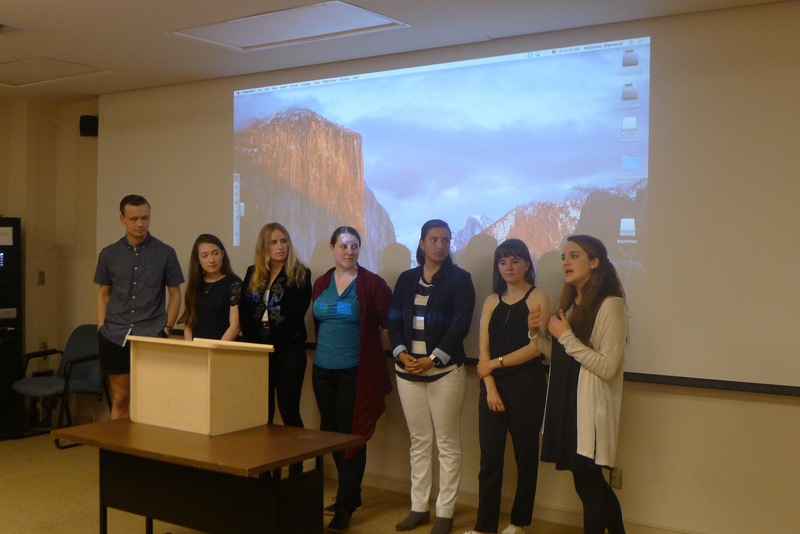 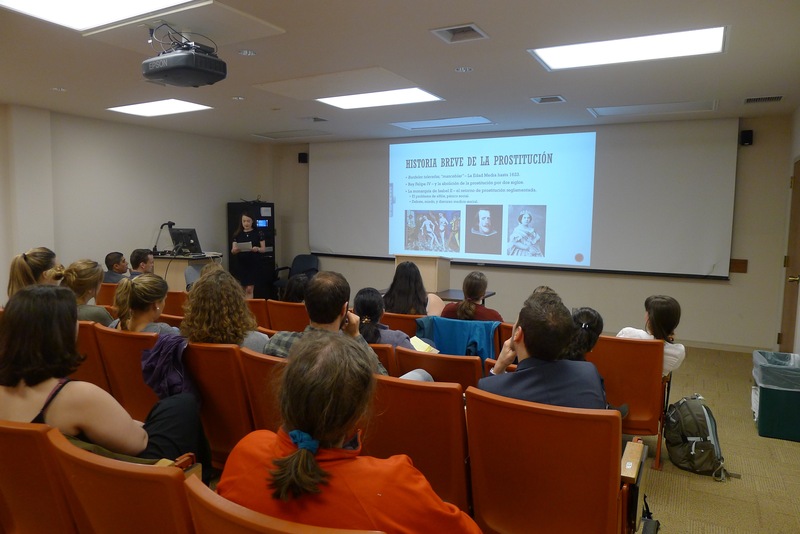 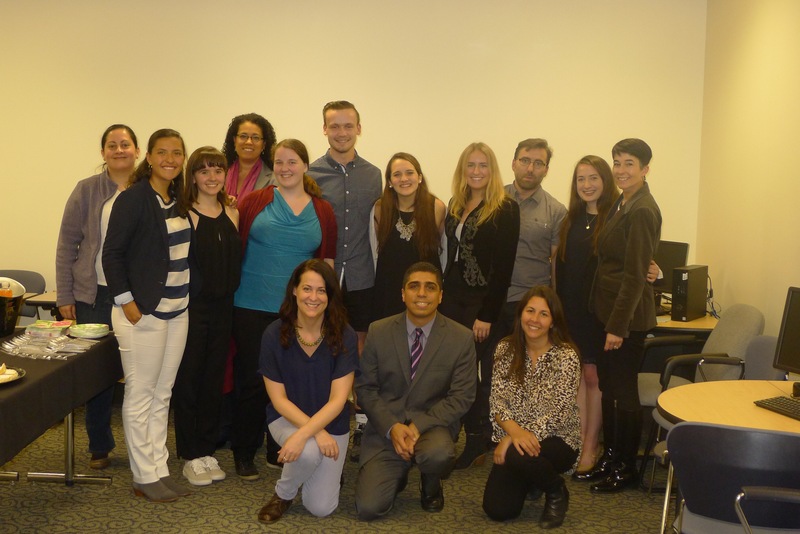 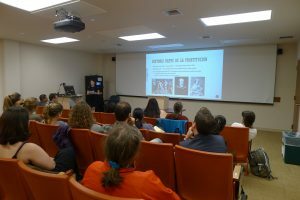 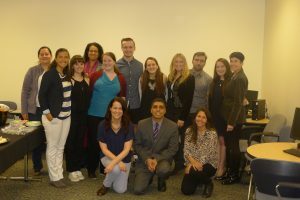 Since 2013, the Department of Spanish and Portuguese has hosted this annual event that allows Spanish majors and Portuguese & Brazilian Studies Minors to present research that has been developed through an Independent Study. 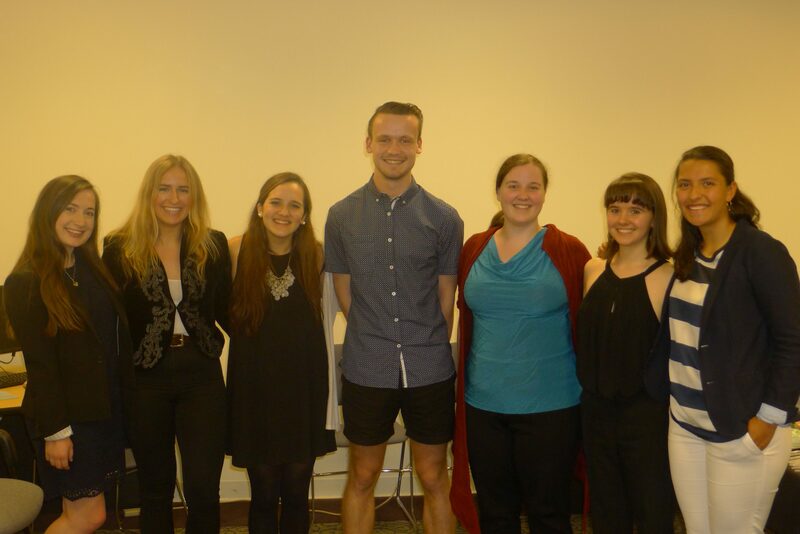 The following students presented their research on May 5, 2017. 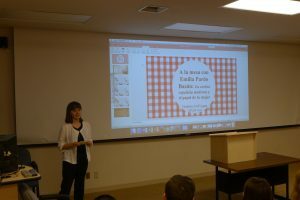 Emily Burton presents her research findings.